This time the Lone Wolf heads for Egypt. 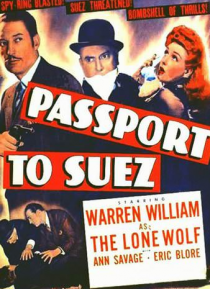 William goes undercover to break up a Nazi scheme to steal British plans for the Suez Canal. A good amount of gunplay and chase scenes--including an outstanding chase in airplanes.